We believe that the health and fitness industry has become so lucrative that the people who need its services most are being misled and manipulated into following trends that make so much money for the industry and hardly help the user. We are dedicated to furnishing you with the best and most relevant information about your health, fitness, and well-being without the hype. The sound mind in a healthy body is a strong mind. Check out the list of contributors to our blog. Thanks for stopping by and liking my post on dementia. I am enjoying my visit to The Zeit. Thank you. Dementia is a subject I personally have been following for a while. Thank you for sharing! Thanks so much for liking my post on Engaging My Core, Trusting My Gut & Chronic Illness on Brooklynbarangay, barangay means neighborhood on Filipino, so welcome to mine! And it looks like I will enjoy your blog! Thank you for liking my Black Velvet post. Your blog has great information. I appreciate the time that you put into your site. I look forward to reading more. Thanks for stopping by my blog and adding the ‘like’. I’ll be reading more of your posts too. After eating, fitness and weightloss is something I’ll have to work on more! Thanks for the visit and like on Perspire to Expire. It’s nice to be here too. Hi! Thank you for liking my post! Hiya! Just wanted to stop by and say thanks for the likes on my blog! Hello! Thanks for the “like”. wow what an awesome blog. Look forward to reading more of the posts here too. More grace. Thank you for stopping by my page and reading my post! I am looking forward to reading your articles. I am trying to embrace a more active lifestyle and lose weight. Thank you for your wonderful blog- it is great information! And thanks so much for liking my Building Blocks post. I appreciate it so much. How do you find your contributors to your blog? Thankyou very much. 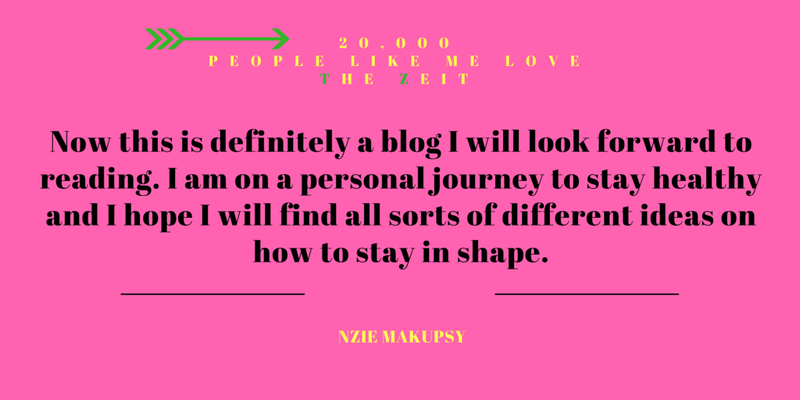 My contributors are people who share common goals with The Zeit. Sometimes they offer to blog for us and sometimes I ask them. Thank you so much for finding my blog and liking my post! I appreciate the time you spent to read my work. Thanks for stopping by and liking my page! You have a fantastic blog – will stop by often. Best regards Darren! Thank you for stopping by at Expeditions Irresistible and liking my blog. Great work here. The world needs your services. Bravo! Thanks for stopping by my blog and leading me here. I’m looking forward to digging into your site. Cool! I’m going to have fun here. Thanks for your contribution to the world! Thanks Dear Joy, we love having you here. Hello! Thank you for checking out my blog mdhomemaker.wordpress.com! I look forward to reading more of your blog posts on my favorite topics – health and fitness. Cheers! Thank you for stopping by my blog. I look forward to following the wonderful things you do here. Thank you for stopping by my blog thewelldressedyogi.wordpress.com and I’m glad you liked my post! Looking forward to get some nuggets of info from your blog. Thanks! Thank you for liking my post about Guilt. I like your goals for this blog site. Very nice to help bring health and wellness to others. Thanks Merry and you too! Thank you too , have a great day! Hey there thanks very much for visiting and following my blog. Your own looks really good and I shall be returning to read more about you! Thank you following my blog. Love the aspirations for your blog. It is wonderful to spread information about good health in a holistic manner. Well done. Look forward to browsing through your website. Thank you Poona it means a lot! Thanks for liking my blog post about walking the Camino de Santiago route in Spain. I hope you enjoy reading more of my blog in the months to come!